Mysterious Reviews, mysteries reviewed by the Hidden Staircase Mystery Books, has written a review of And Murder for Dessert by Kathleen Delaney. For our blog readers, we are printing it first here in advance of its publication on our website. Synopsis (from the publisher): Ellen McKenzie and her fiancé, Chief of Police Dan Dunham, are on their way to the very upscale Harvest Festival Dinner, hosted by Ellen’s niece, Sabrina, and her husband, Mark Tortelli. They are seasoned winery professionals. What could go wrong? New to Silver Springs Winery, the Tortellis have been worried for weeks that their jobs depend on the success of this event, and the reputation of the guest chef hasn’t helped calm their nerves. Otto Messinger is noted for his temper tantrums. Ellen is hoping he’ll keep himself in check. Dan is hoping the Tortellis, who have been staying with Ellen for a month, will triumph and soon find their own place to live. Tonight’s guest list seems to include everyone who has ever had a feud with Otto, a fact the little chef is thoroughly enjoying. The dinner progresses, a little shaky but without disaster. Then it’s time for dessert. But where is Otto? Review: Kathleen Delaney’s third entry in the Ellen McKenzie series, And Murder for Dessert, is a delightful mystery featuring some jealous and distrustful chefs, those who enjoy the fruits of their labors, and those who invest in their talents. The quiet lives of real estate agent Ellen McKenzie and her husband, Chief of Police Dan Dunham, are turned upside down when Ellen’s niece, Sabrina, and her husband, Mark Torelli, move in with them temporarily until they could find a home of their own. The two quickly accept jobs at the local Silver Spring Winery on a trial basis. Their first assignment: plan a festive formal dinner and wine tasting event. For the dinner, Mark hires a famous chef, Otto Messinger. Mark not only wants to impress his guests with his own talent regarding wines, he also wants Otto to impress them with his fine cuisine. The wine is exquisite and the food divine. All of the invited guests are overwhelmed by the event. All but a murderer, that is, who sets out to kill Otto that very night. Soon thereafter another murder takes place. Ellen’s curiosity and her unsolicited help are all that are needed for Dan to be able to identify the culprit. Every character written in the story felt real. The residents of the city seemed like neighbors. Even Otto, who could easily have been portrayed as a caricature of an arrogent out-of-control chef, seemed no worse than the typical culinary expert on television. No doubt every reader has experienced a situation where a meal had to be sent back to the kitchen for some reason or another. But would you kill the chef because of it? No need to answer that! To be drawn into a book and feel a part of it (dead chef notwithstanding) is a wonderful reading experience. What's not to like about a gourmet meal, fine wine, and a little murder thrown in for dessert? Not much! And Murder for Dessert is a treat and is highly recommended. Special thanks to guest reviewer Betty of The Betz Review for contributing her review of And Murder for Dessert and to Poisoned Pen Press for providing an ARC of the book for this review. 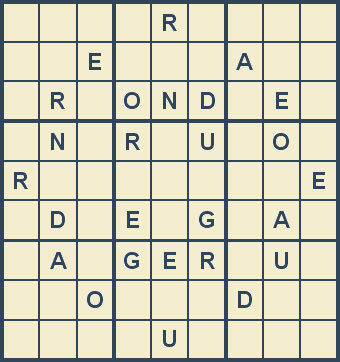 This week's letters and mystery clue: A D E G N O R S U. 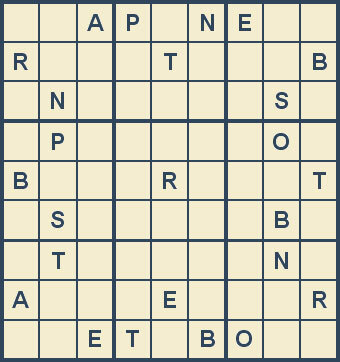 _____ Games is the title of the 17th Inspector Woodend mystery by Sally Spencer (9 letters). • Newsweek has an excerpt from Elmore Leonard's Up in Honey's Room as well as a list of his five most important books. • Jabari Asim of the Washington Post reviews Stephen L. Carter's second mystery set in the world of upper-class black Americans in New England White. • The Globe and Mail's Margaret Cannon reviews several new mysteries in her latest column, including Stalin's Ghost by Martin Cruz Smith. Mysterious Reviews, mysteries reviewed by the Hidden Staircase Mystery Books, has written a review of Cut to the Bone by Shane Gericke. For our blog readers, we are printing it first here in advance of its publication on our website. Synopsis (from the publisher): No judge. No jury. No mercy. Martin Benedetti, detective commander for the Chicago suburb of Naperville, Illinois, sheriff's office, is no stranger to ruthless killers. Two years ago Marty and local police detective Emily Thompson solved a particularly brutal case of serial murder. But this time it's different. This time, the carnage that has been wrought is only the horrific prelude to another more shocking act of evil—an act that will strike at the heart of everything Marty cherishes most. Review: Shane Gericke's second Emily Thompson mystery, Cut to the Bone, again features a serial killer who is targeting the western Chicago suburb of Naperville. Emily and her professional and romantic partner Marty Benedetti are having a spa day when the receptionist is quickly and efficiently murdered, the killer escaping virtually unnoticed. After Emily enters the details of the crime into a national database, including the fact that the victim's nose was inexplicably broken and two barely burned wooden matches were found at the crime scene, she is contacted by other agencies around the country that have had similar crimes in their jurisdictions. They surmise that a serial killer is at work around the country, but don't know how the victims are connected. Meanwhile, Illinois prepares to execute the killer of a pregnant woman and her unborn child in a newly constructed facility built around the electric chair used several decaded earlier by the state. Emily concludes the serial killer and the pending execution are somehow related and as a result finds herself a target. As with Gericke's previous mystery in this series, he is at his best in profiling and documenting the actions of the serial killer. The identity of the killer isn't revealed until the final pages and comes as something of a surprise; Gericke convincingly proffers several red herring candidates during the course of the book, any of which would seem to have motive and opportunity. From this perspective, Cut to the Bone works well as a suspense thriller. But there are numerous problems with the book that are hard to overlook. Emily Thompson plays at best a minor role here. She's present at the spa murder and is presumably the lead detective in the case but spends most of her time wondering about her relationship with Marty Benedetti. The spa murder is 8th or 9th on the serial killer's list, so it is inexplicable that the connection with the broken noses and two burnt matches wasn't discovered earlier. On the same subject, there is never a credible explanation why the victim's noses were broken in the first place, and the relationship between the matches and the electric chair is truly far-fetched. The inclusion of a conversation between Supreme Court Justices Potter Stewart and William Rehnquist that takes place in 1972 where they discuss a pending case on the death penalty before the court, and share a chuckle over executions in Texas, is particularly odd. And probably most puzzling, in the end how did the serial killer expect to achieve his stated objective? There are too many problems with Cut to the Bone to recommend it, but those looking for a quick read with an intriguing serial killer will likely enjoy it. Special thanks to Breakthrough Promotions for providing an ARC of Cut to the Bone for this review. The First Clue Mysteries website was updated this weekend with seven additional series for the junior sleuths in your family. The Character mysteries feature twins Charlie and Hailey and are written by Elizabeth L. Hamilton. These entertaining stories also illustrate character building traits that will resonate with the reader. Of the three books available, the first teaches the basic meaning of character. The second calls for courage of conviction. In the third the twins learn responsibility. This series is recommended for pre-teens. Like the Benny and Watch mysteries, the Fletcher mysteries by Elizabeth Levy feature a character from another series though are written for a younger audience. Fletcher is a dog that belongs to Gwen and Jill (from the Something Queer mystery series, also by the same author). He and his flea Jasper help solve crimes in their neighborhood. The five books in this series are recommended for readers aged 6 to 9. The Johnny Dixon mysteries combine suspense, science fiction, and fantasy. The first eight books in the series were written by John Bellairs, the author of several novels and two other series for young adults, who died in 1991. The ninth book, The Drum, the Doll, and the Zombie, was completed by Brad Strickland who also has written the three most recently published mysteries in the series. These books are recommended for readers aged 9 to 12. Written by Jerry B. Jenkins and Chris Fabry, the Red Rock mysteries feature 13-year-old twins Bryce and Ashley Timberline. Whether at home, in school or out chasing down evidence, both Bryce and Ashley bring their excitement and enthusiasm for seeking out justice and defending the needy to every task they undertake. Their investigative cases take on a fuller dimension as they learn to live out their faith in every area of life. The 15 books in this series are written for readers aged 8 to 12. A series for young readers, the Sly the Sleuth mysteries by Donna Jo Napoli and her son Robert Furrow feature Sylvia "Sly" and her cat Taxi. They operate the Sleuth for Hire agency and use their wits and reasoning to solve problems for their friends and neighbors. Each of the three books in the series contains three mystery stores in the form of early reader chapter books. The Sly the Sleuth mysteries are recommended for new readers aged 4 to 6. The first book in the Zeke Armstrong mysteries by Daniel Hale and his teenage nephew Matthew Labrot, Red Card, was the 2002 winner of the Agatha Award for Best Children's/Young Adult Mystery. Zeke Armstrong is a 13-year-old sports fanatic and amateur sleuth. There are currently two books in this series which is recommended for readers 10 and older. • Robert K. Elder writes in the Chicago Tribune about a group of Chicago mystery authors who have formed The Outfit, an online literary salon for crime fiction readers and writers. • Filmstew.com reports on the ten years it took actor Blair Underwood to write Casanegra, his debut mystery introducing gigolo-turned-actor Tennyson Hardwick. The Crime Writers' Association (CWA) has announced the winners of the 2007 Daggers, among the most pretigious awards recognizing excellence in mystery writing. The awards ceremony was held on July 5th at the Four Seasons Hotel on Park Lane in London. The top prize, the Duncan Lawrie Dagger for best crime novel of the year, was awarded to Peter Temple for The Broken Shore. He also received £20,000. Duncan Lawrie International Dagger for best crime novel translated into English: Wash this Blood Clean from My Hand by Fred Vargas. The CWA Ian Fleming Steel Dagger for best adventure/thriller in the style of James Bond: Sharp Objects by Gillian Flynn. The CWA New Blood Dagger for first books by previously unpublished authors: Sharp Objects by Gillian Flynn. The CWA Dagger in the Library which recognizes the author of crime fiction whose work is currently giving the greatest enjoyment to readers: Stuart MacBride. Please visit the Mystery Book Awards website where lists of winners from 19 different organizations that recognize excellence in mysteries, including the CWA Daggers, are presented. Mysterious Reviews, mysteries reviewed by the Hidden Staircase Mystery Books, has written a review of Fear of Landing by David Waltner-Toews. For our blog readers, we are printing it first here in advance of its publication on our website. Synopsis (from the publisher): On the islands of Java and Bali in the early 1980s, Western governments are pouring millions of dollars into development schemes even as Indonesian strongman President Suharto violently stifles dissent. For Canadian veterinarian Abner Dueck, the "spice islands" are an exotic locale for the seemingly mundane work of examining dead cows and working with old friends. Dueck's life changes abruptly when some of the cows die under mysterious circumstances, and he meets a mysterious young Chinese woman; soon after, two of his friends-one Canadian and one Indonesian-are murdered. Mennonite Dueck, marshalls the energy to battle Indonesian politics and the attempts of local businessmen, military rulers, and international "advisors" to manipulate development projects to their own ends. And to unravel the mysterious deaths of both cattle and people, Dueck must first understand the long shadow that the 1966 massacres cast on Indonesian life, as well as the complexities of their music, and the demands and intrigues of love and conspiracy, death and mystery, and of course, cultural heritage and personal identity. Review: Fear of Landing, by David Waltner-Toews, introduces Abner Dueck, a 35-year-old Canadian large-animal veterinarian, who volunteers to go to Indonesia as a disease investigator for farm animals. What he finds on the beautiful “Spice Islands” are American cows mysteriously dropping dead at odd times and seemingly for no reason. There is a total breakdown of the Indonesian politics, he is told, since the 1966 massacres. The country's rulers, or lack thereof, play an important part in the cattle mystery, plus in the death of two of his friends, one Canadian and one Indonesian. Abner, unlike the multitudes of the people in Indonesia, lives in splendor. He has a car, and his own home with living room, kitchen, bedroom and bath. He makes friends very quickly and trusts everyone. When he does an autopsy on a recently deceased cow, his life becomes endangered. He is not permitted to do that again for fear he would know what and possibly who are killing the cows. He must challenge the attempts of the local merchants to manipulate the diseased cows for their own benefits. He meets and falls in love with a mysterious Chinese girl. The Chinese are not welcome in Indonesia because they are perceived to have too much money and power. When his friend from Canada is killed, he rushes to a fellow veterinarian for help and advice, only to find that he too has been killed also. He goes to the police who say nothing except that his visa has expired and he must be out of the country in five days. In those five days, Abner searches and finds the answers he needs. Fear of Landing is a book with might and magnetism. The narrative up to and including the solution to the deaths of both the men and the cows is dynamic. Abner Dueck is a wonderful, complex character and, with the combination of exotic locales where he can practice his profession, this promises to be a very intriguing mystery series. Special thanks to guest reviewer Betty of The Betz Review for contributing her review of Fear of Landing and to Poisoned Pen Press for providing an ARC of the book for this review. A list of the top ten mystery hardcover bestsellers for the week ending July 06, 2007 has been posted on the Hidden Staircase Mystery Books website. Beginning this week we're combining data from multiple sources to produce a single mystery bestseller list that we believe better represents the entire market. New on the list this week: James Patterson's latest stand-alone thriller, The Quickie. When NYPD cop Lauren Stillwell discovers her husband leaving a hotel with another woman, she decides to beat him at his own game. But her revenge goes dangerously awry, and she finds her world spiraling into a hell that becomes more terrifying by the hour. Also new is Silence by Thomas Perry. Six years ago, Jack Till helped Wendy Harper disappear. But now her ex-boyfriend and former business partner, Eric Fuller, is being framed for her presumed murder in an effort to smoke her out, and Till must find her before tango-dancing assassins Paul and Sylvie Turner do. Mysterious Reviews states, "Certainly one of the best mysteries to be published this summer, Silence will keep the reader enthralled to the very end." • Janet Evanovich speaks with Sheryl Ubelacker during a recent stop in Toronto on writing and promoting her books. • Fox Searchlight announced that principal photography has begun on The Night Watchman from a screenplay based on an original script by James Ellroy. • Timothy Rutten of the LA Times reviews The Night Ferry by Australian mystery writer Michael Robotham, calling it a superior thriller. • Reuters interviews Scott Turow who says imagination, not experience, is key to writing. • John Preston of the Telegraph reviews the Aurelio Zen mystery End Games by Michael Dibin who died this past March at age 60. • Claudia La Rocco of The New York Times reviews the third mystery in the Sonchai Jitpleecheep series, Bangkok Haunts by John Burdett. Mysterious Reviews, mysteries reviewed by the Hidden Staircase Mystery Books, has written a review of The Blue Cheer by Ed Lynskey. For our blog readers, we are printing it first here in advance of its publication on our website. Synopsis (from the publisher): P. I. Frank Johnson has moved to Scarab, West Virginia, drawn by the promise of lazy days and the lure of its tranquil mountains. What he finds instead is a Stinger rocket exploding over his back yard. His ensuing investigation uncovers a cult called the Blue Cheer, a racist group with ugly terrorist plans. As events heat up, blood starts to spill, and for Frank it all gets real personal real quick. With the help of his bounty hunter pal, he sets out to bring the Blue Cheer to justice -- any way he can! Review: Ed Lynskey changes the venue for Frank Johnson in his second mystery, The Blue Cheer, placing the private investigator in West Virginia to solve a senseless murder. The wife of an old friend, confined to a wheelchair, is brutally tortured and murdered. Why would anyone harm someone who was so harmless? Frank and the victim's husband, Old Man Maddox, set out to avenge her death, and quickly suspect that a cult group living in the West Virginia mountains may be responsible. Called the Blue Cheer, the organization advocates the separation of races but also promotes atheism. Old Man is black, his dead wife white; could her murder have been a message that the Blue Cheer doesn't tolerate mixed marriages in its neighborhood? Or could it mean something more sinister? For what is arguably a hard-boiled mystery novel, The Blue Cheer is deft in drawing the reader into the story using a subtle, nuanced approach to plotting and in narrative. After Old Man is gunned down, it's clear that the case is more complex than Frank originally thought and rather than go it alone he brings in another old friend, bounty hunter extraordinaire (by his own admission) Gerald Peyton, to continue the investigation. Frank and Gerald work at the fringes of the law to bring down the Blue Cheer and ensure that Old Man and his wife's murders don't go unpunished. The only inconsistency in this fine mystery is the subplot involving Frank's imprisoned (and later escaped) cousin Rodney Bellweather. It's not obvious that including Frank's role in tracking down Rodney adds any value to the book nor is its resolution, independent and unrelated to that of the main plot, very satisfactory. The Blue Cheer is a P. I. novel at its best and deserves to be recognized as such. Special thanks to Point Blank Press for providing an ARC of The Blue Cheer for this review. Nominations for the 2007 Macavity Awards have been posed on the Mystery Readers International (MRI) website. The Macavity Award is named for the "mystery cat" of T. S. Eliot (Old Possum's Book of Practical Cats). Each year the members of MRI vote for their favorite mysteries in several categories. For a list of nominees in all categories, visit the MRI website. The 2007 award winners will be announced September 27th during the opening ceremonies of Bouchercon, the World Mystery convention, in Anchorage, Alaska. Please visit the Mystery Book Awards website where lists of winners from 19 different organizations that recognize excellence in mysteries, including the Macavitys, are presented. Mysterious Reviews, mysteries reviewed by the Hidden Staircase Mystery Books, has written a review of Silence by Thomas Perry. For our blog readers, we are printing it first here in advance of its publication on our website. Synopsis (from the publisher): Six years ago, Jack Till helped Wendy Harper disappear. But now her ex-boyfriend and former business partner, Eric Fuller, is being framed for her presumed murder in an effort to smoke her out, and Till must find her before tango-dancing assassins Paul and Sylvie Turner do. Review: In Thomas Perry’s new thriller, Silence, Wendy Harper and her ex-boyfriend/best friend, Eric Fuller are the owners of an upscale restaurant in Los Angeles where Wendy is the manager and Eric is the prize-winning chef. On her way home from the restaurant one night she is accosted at her front door, beaten with a baseball bat to her legs and body and fists to her face. Her attackers leave her for dead. She survives, however, and when she recovers she hires private investigator Jack Till to help her run away. Jack, who had retired recently from the police force, suggested that she contact the police, but she is so afraid that another attempt on her life, or maybe someone she loved, would be made again. Finally Jack agrees. He tells her all she must do and must not do to be successful. She must change her identity and go to a place where no one would think she would possibly go. She could tell no one, not even him, what her plans are. She leaves and was not heard from again …until Eric is framed for her murder. Even though there is no body and scant evidence, Eric is arrested. Jack sets out on his journey to find Wendy so Eric could be cleared. But what Jack did not know was that the men who wanted her dead six years ago still want her dead. These men hire married Tango-loving assassins Sylvie and Paul Turner to finish the job for them. Meanwhile, Jack enlists the help of his police buddies, and uses every tactic and method he knows to try to find her before the assassins do. Sylvie and Paul track down Jack and follow him wherever he goes, killing anyone and everyone who gets in their way. Although Silence is a fairly long book, Perry keeps the plot moving along at a very fast pace. The reader's interest is piqued on nearly every page when new characters are introduced, some of which are vital to the story, and others who are merely incidental. Though the story follows both Jack's and the Turner's pursuit of Wendy, it is the latter that is somewhat more interesting, with Perry tempering the suspense with bits of tongue-in-cheek humor. Certainly one of the best mysteries to be published this summer, Silence will keep the reader enthralled to the very end. Special thanks to guest reviewer Betty of The Betz Review for contributing her review of Silence and to Harcourt for providing a copy of the book for this review. This week's letters and mystery clue: A B E N O P R S T. He is the author of The Water Thief, a historical mystery featuring Aelius Spartianus (9 letters). • CinemaBlend.com reports that James McTeigue, the director of V for Vendetta, is attached to a screen version of Bangkok 8, the first mystery in the Sonchai Jetpleecheep series by John Burdett. • The New York Times writes about web-based thrillers and mysteries in Online Cliffhangers: You Choose the Cliff.